This 24″ monitor from ASUS is a cost effective monitor for the casual gamer. 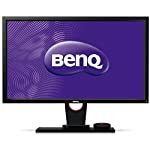 An enthusiast pushing for the best will be looking elsewhere, this is a standard 60hz monitor with no adaptive sync technology, buy that’s OK because the price reflects this. This is the monitor you’ll be wanting to hook up to a mid range rig for high quality HD graphics. 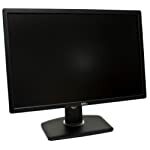 I think the VS248HR is smart enough looking for a budget monitor, the bezel isn’t exactly thin but the black gloss gives it a professional feel and the stand doesn’t take up your whole desk – one advantage of going for a smaller lighter monitor! The screen itself has a matt finish which is preferable in my opinion but I know some of you like the shiny screen look. For the price you get a fairly good choice of connectivity thrown in, including HDMI, VGA and DVI. But you may miss not having DisplayPort or two HDMI sockets. But if you are planning to hook up a console such as a PlayStation 4 or XBox One then it is still entirely possible. Let’s be straight, the ASUS VS248HR does not feature premium features like G-Sync, which alone adds £100 to the base price of a monitor. So if you are an enthusiast looking for the best then this isn’t for you. 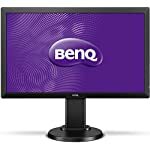 But is it still worth considering a monitor like this? I would argue yes. A modern rig should be able to hit this monitor’s maximum refresh rate of 60hz at 1080p, you might have to dip some of the graphics settings to get a constant 60 frames per second. Thanks to the very respectable response times of the screen you can be sure of a clear ghost free image, user reviews of the screen are very positive, i.e. real world gamers like you have been very satisfied with the performance you get for the price. We give the Asus VS248HR a 4.5 out of 5 rating. Want to know what existing owners of the monitor think? You can read real user reviews here. Should I buy the Asus VS248HR? 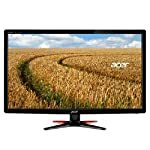 A cost effective gaming monitor that will do a good job for the money. Whilst it doesn't have the premium gaming features you'd find on a top range niche monitor it does a good job for the price. If you are having some doubts about this purchase then why not read some real owner reviews and see what other buyers think. Official Site : Get the specs, downloads and more. Welcome to the Asus VS248HR FAQ. This section attempts to answer common questions you may have, please get in touch if you have any more queries or if you think our answers need updating. No speakers included, but it does have a headphone socket if that helps. is this lcd or led? LED. Most are these days, LED is essentially a type of LCD technology that uses an array of smaller, more efficient light emitting diodes to illuminate the screen, allowing them to be thinner. Taken from asus web page, But you state that it is a 60hz monitor. Why? Hi Luis, I’ve wondered about this myself and have seen these frequency ranges quoted on other monitors. Having looked a bit further it seems that this is just the frequency of the cables, ie over HDMI/DVI/DP. It isn’t related to how many frames you are actually going to see on the monitor. If anyone can give more detail on what this specification means and why it is listed then please add to the comments. As far as I can tell you’re not going to rig this up and get 76hz out of the box. (although you might get there with overclocking! ).